We offer guide package according to your wishes. The Guide packages includes everything needed; transmitters, receivers, microphones, earphones and charging / storage case. We deliver Guide system all over Europe and to various bransches as Museum, Travel Agencies, Professional guides, Factories and many other. STRONGVOICE Two-Way Communication, which means that now guide/instructors and listener/receiver now can communicate with each other! 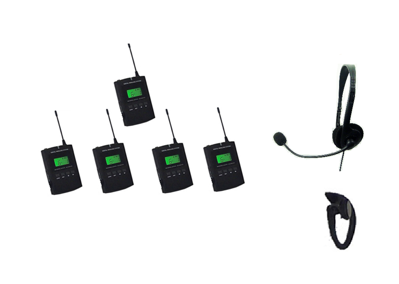 The system consists of an audio transmitter and an optional amount of receivers. When the listener presses the button on the receiver, he/she can speak directly to the transmitter and all the other receivers will also hear him. This allow a whole group to interact with each other. A very convenient system for interaction! Unlimited numbers of users when in use. Working distance of 250 meters. Wider bandwidth which provides better and clearer sound. Hich Tech Lithium batteries with high capacity. The system are CE and RoHS certified.